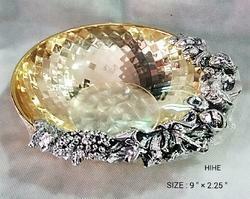 With our years of experience & in-depth knowledge in this field, we are engaged in offering a quality-assured array Gold Plated Fruit Bowl. With our years of experience & in-depth knowledge in this field, we are engaged in offering a quality-assured array Gold Plated Flower Bowl. 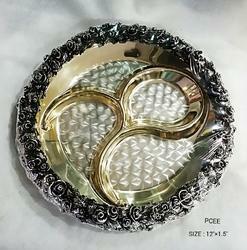 With our years of experience & in-depth knowledge in this field, we are engaged in offering a quality-assured array Gold Plated Flower Design Tray. 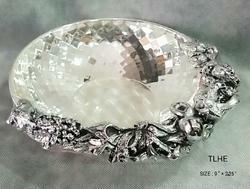 With our years of experience & in-depth knowledge in this field, we are engaged in offering a quality-assured array Silver Plated Fruit Bowl. 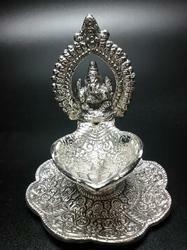 With the help of skillful and devoted professionals, we are engaged in offering a best quality range of Antique Ganesha Lamp With Stand to the customers. These products are available in varied specification to cater the client requirements. 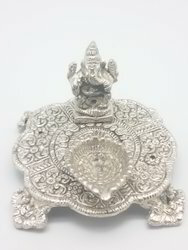 Offered collections of products are highly appreciated by our patrons owing to their longer life and light weight. Moreover, the whole range of products is checked on well define industry parameters prior to its dispatch. 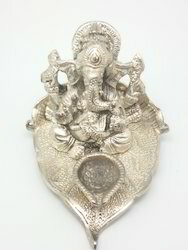 We have achieved a distinct and dynamic position in the industry by providing a wide assortment of Antique Ganesha Lamp With Stand. Offered range is available in many sizes and other allied specifications to choose from. The provided products are manufactured and designed at highly advanced manufacturing unit following international guidelines and norms. Known for their easy installation and flawless finish, these are widely demanded in the market.